Here's the thing about making your own things - when you lose something, it's a one-of-a-kind item that you've spent hours of love (and frustration) on. It can be really disheartening! I know, because last week I left both my newfie mittens on the bus and I only realized after it was far too late. I was pretty upset and so was JF. 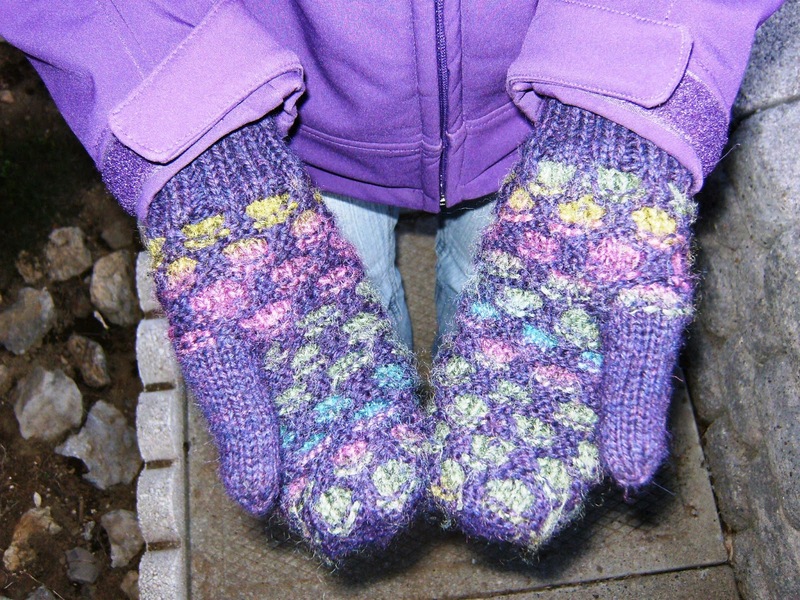 All that care and work and time on those mittens, my first pair ever, and they perfectly matched my hat because they used the same yarn! I called the bus company the next day but the mittens were not turned in at the lost and found. I resigned myself to this sad fact but I did try calling again after a number of days and guess what - someone had turned my mittens in! JF picked them up for me while I was at work and we were joyfully reunited this evening. I certainly will pay more attention to my things when I am on the bus or elsewhere. The whole experience made me realize the value of hand-made things. Sure, I could buy a pair of mittens for 5 or 10 dollars, but I certainly wouldn't feel the same about them. And I think it's a good thing, to reconnect with how much resources and effort go into making even such small material things. Have you ever lost a favorite hand-made item? Did you find it again? Did you decide to just go mass-produced instead to replace them? I have made a couple bat-man hats because, unfortunately, I keep losing them! The upside is I CAN replace them, but it does take awhile. That's a good point iv at least we are in the position to make a replacement if we really want to! Also, I hope you have a good feeling when you think of whomever in the world has found your batman hats and enjoyed them!